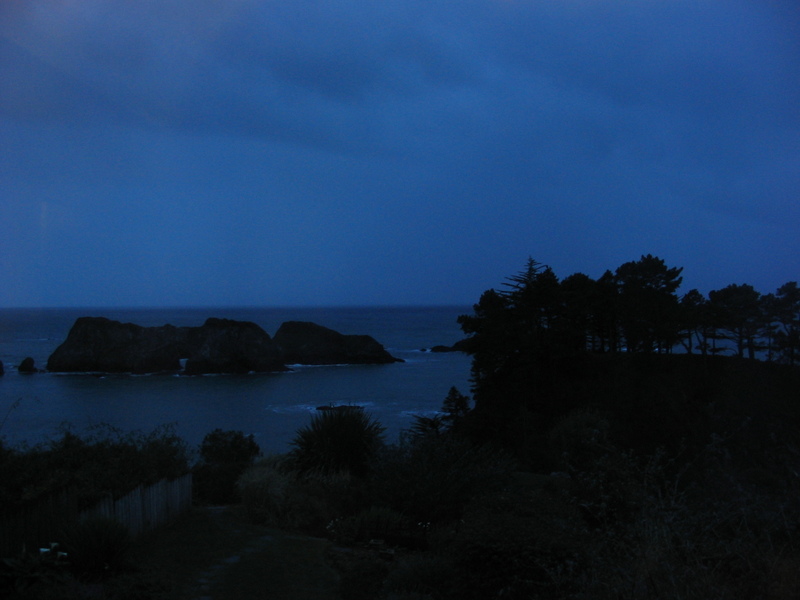 This picture is the view from our room at a bed & breakfast Jeff and I stayed at in Mendocino, California in December 2003. We took this picture as night fell the first evening we were there. Later, in the middle of the night, a massive rain and wind storm blew in and the ocean fiercely pounded that cove just outside our window all night long. We had a gas fireplace in our room that was on while we slept, and it was all bit frightening, yet so cool at the same time. I’m still looking forward to being on the Oregon coast sometime for another big winter storm. This entry was posted in Flashback Friday, Just Photos and tagged pictures and photography, travel, vacation by burpobanter. Bookmark the permalink.